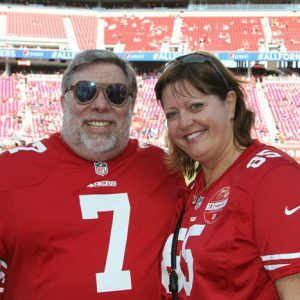 Woz and wife Janet. 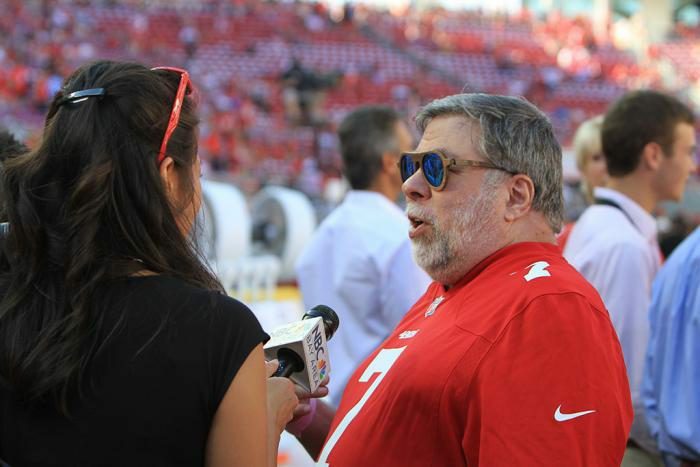 Woz is sporting some Cardinal sunglasses made of wood he received as a gift in Querétaro, México. 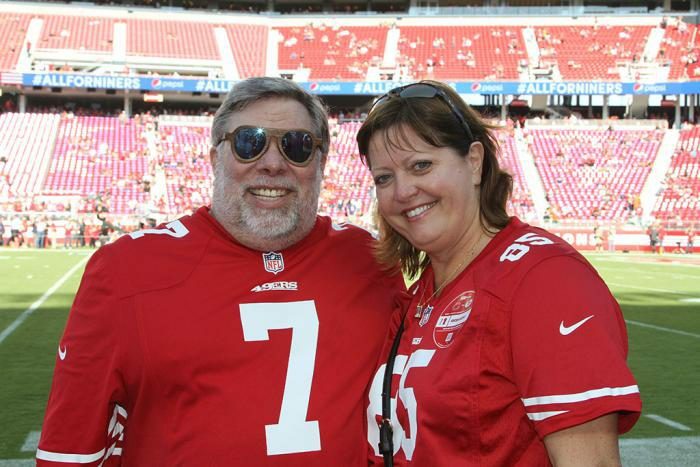 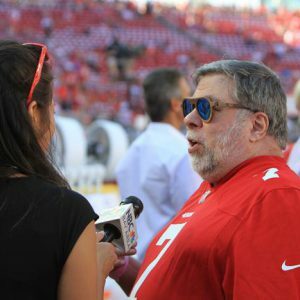 A reporter spots Woz at the game.